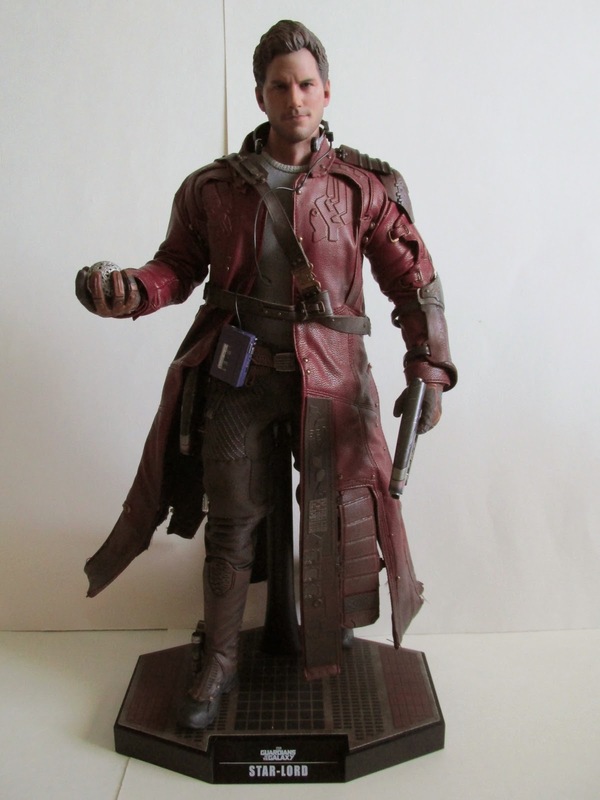 After months of delays because of the Los Angeles and Long Beach dock strikes, Star-Lord is finally here. 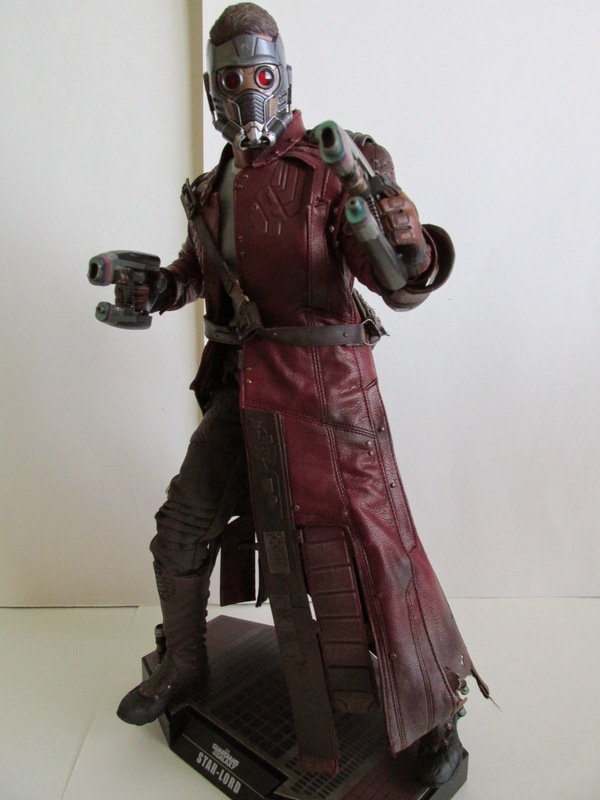 It’s good to be back on track again with Hot Toys. 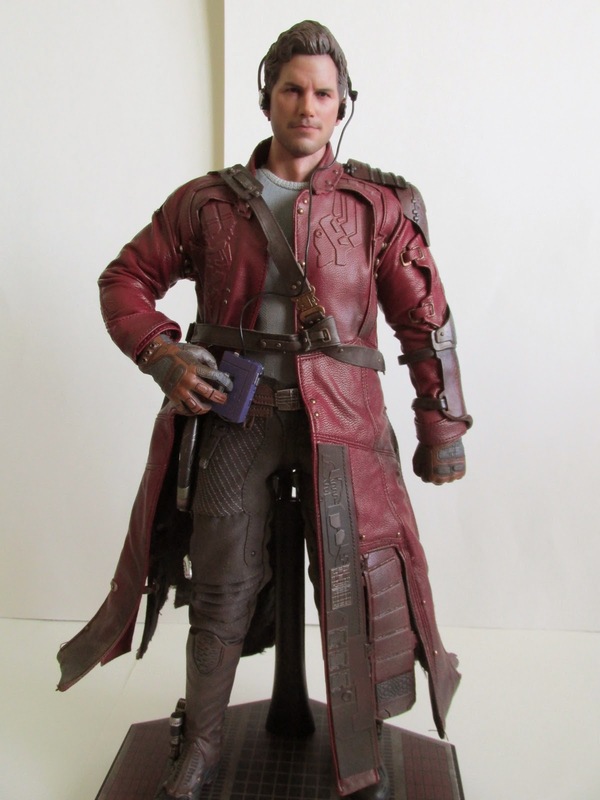 This is the first figure from Hot Toy’s Guardians of the Galaxy line to get a release with the other characters to follow. 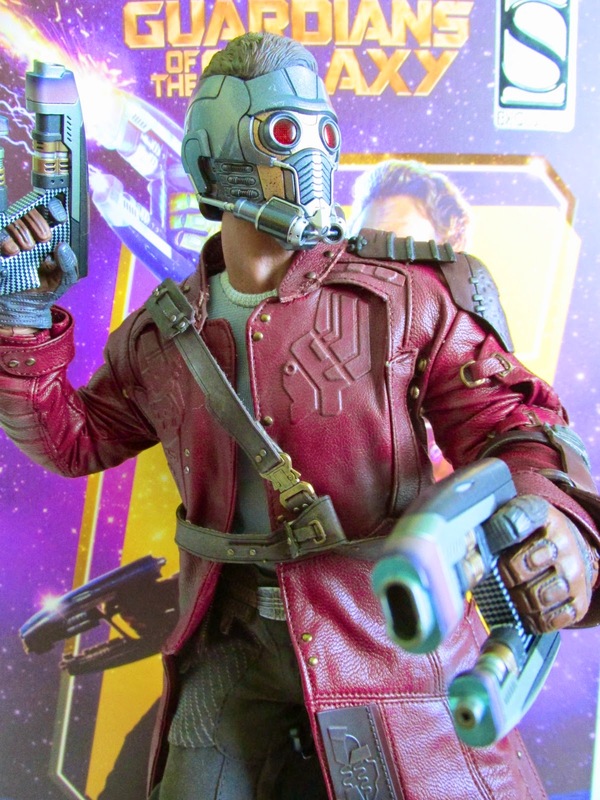 Star-Lord is a great figure overall and honestly you could probably just buy him without buying the other Guardians characters…he’s that good! 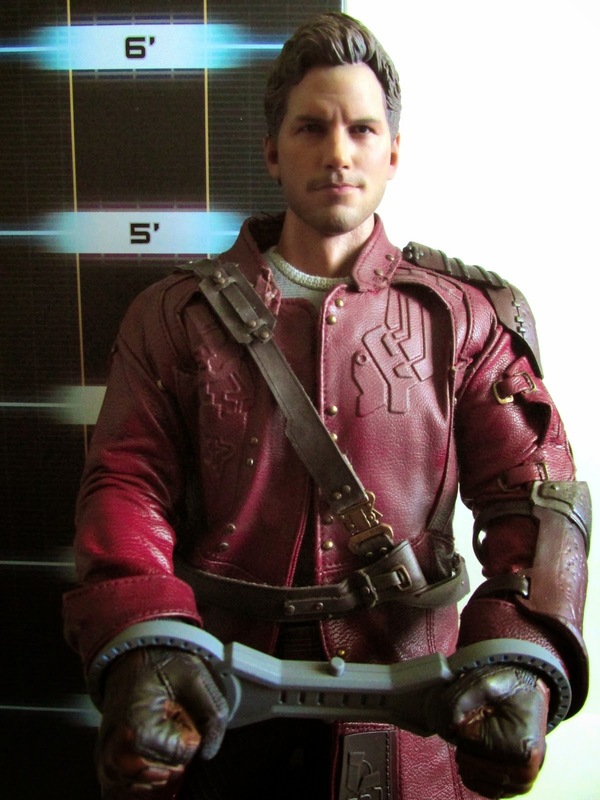 Let’s start off with the two amazing head sculpts that comes with this figure. 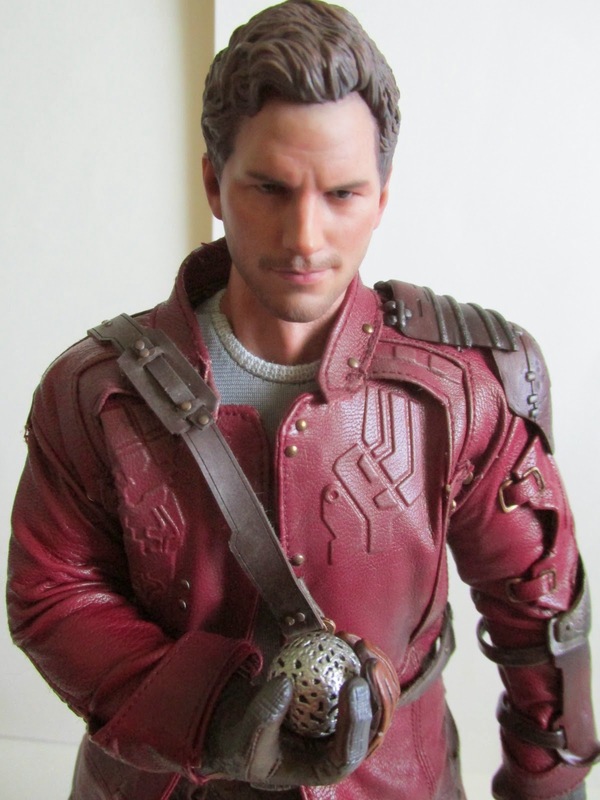 First off we have the Chris Pratt head and is probably one of the better head sculpts that we have seen of this year. 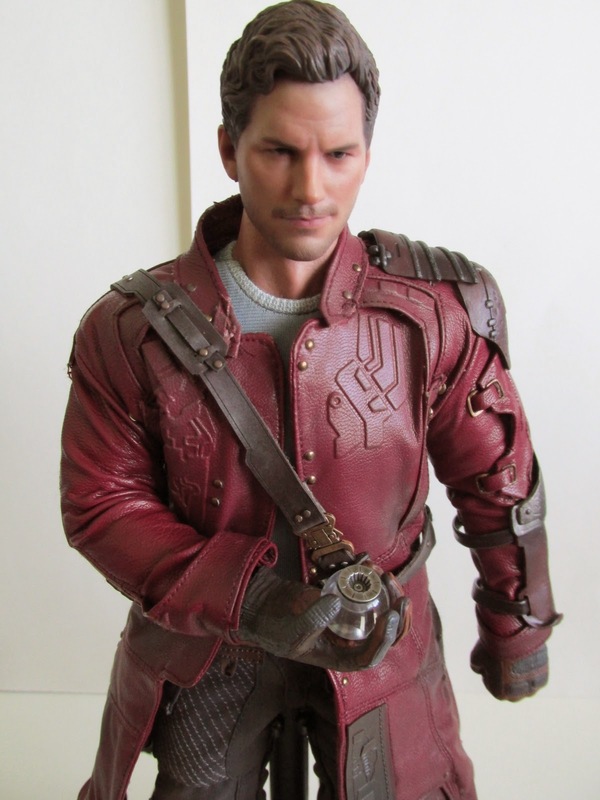 Recent releases of Hot Toys figures seem to have great likeness of their actors but have emotionless expressions on their face. 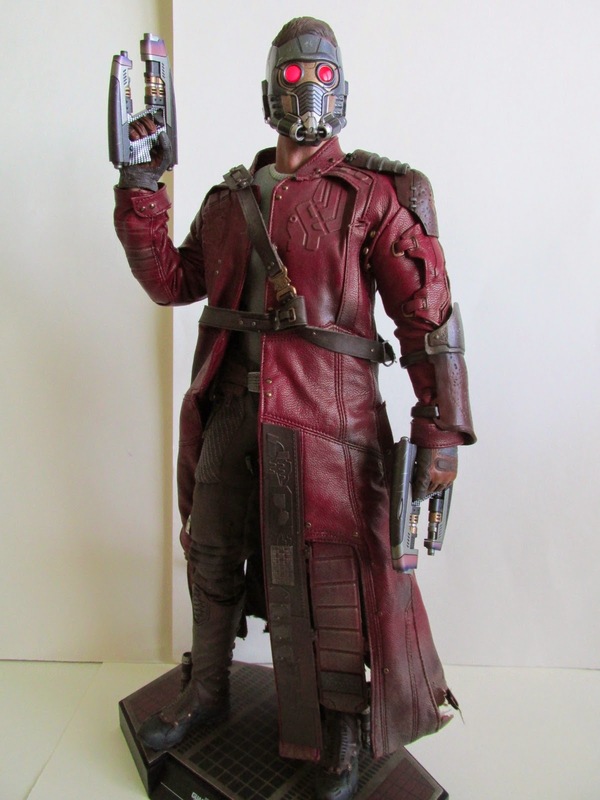 This sculpt has none of those short comings and perfectly captures the character of Peter Quill aka Star-Lord. 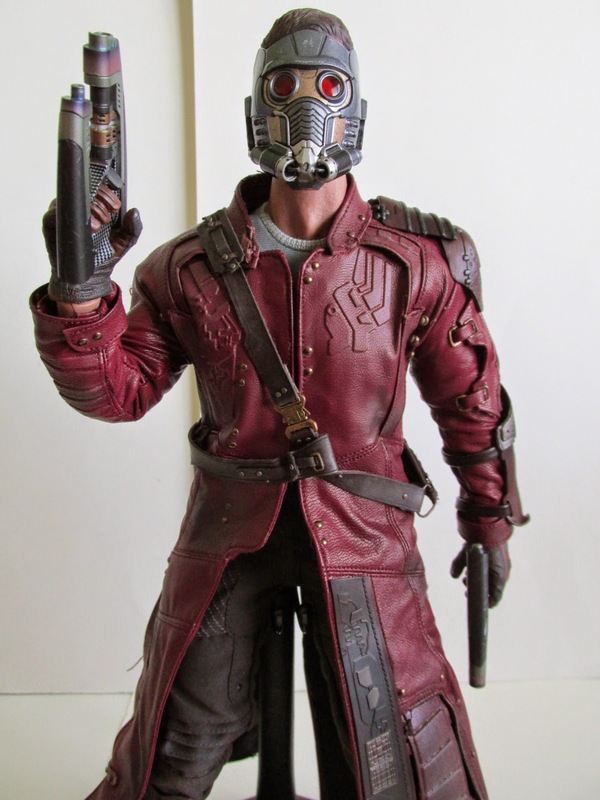 The Star-Lord mask is an amazing look for the figure and is almost like having a different Star-Lord figure. His eyes light up and all you have to do is lift off the back part of the mask and turn on the switch inside his head. The light is not too bright but is still striking. For whatever reason, the lights on mine began to dim after several minutes. 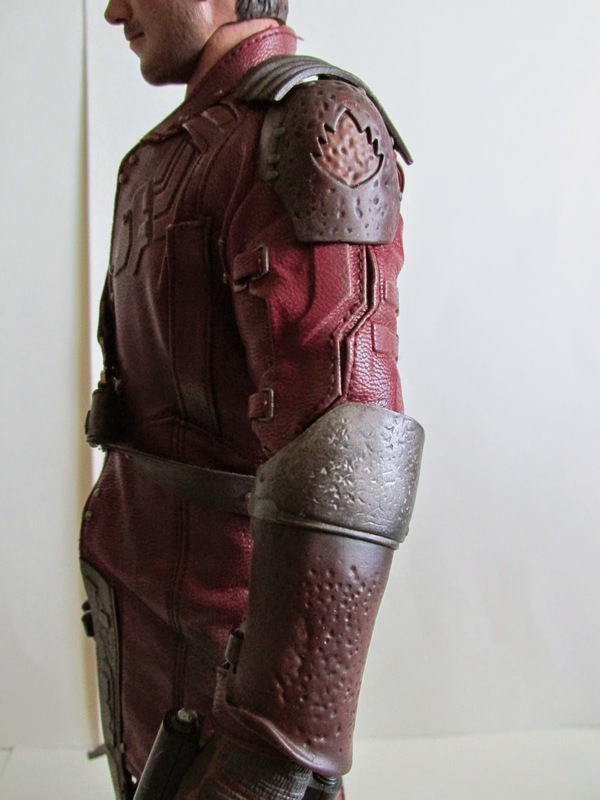 His trench coat is also very highly detailed and has some great weathering effects on the edges of the coat. 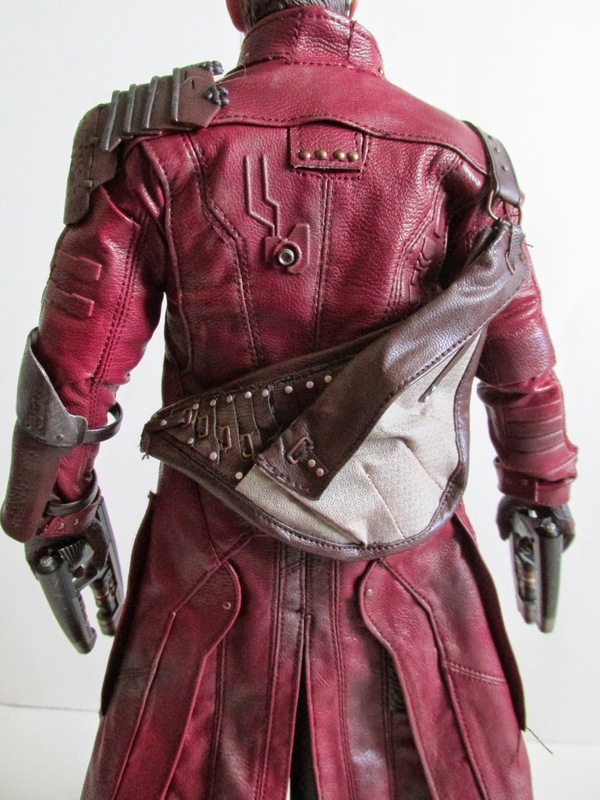 The ends of the coat also have metal wires inside, and you can shape the coat to better fit a pose like a wind effect or something like that. 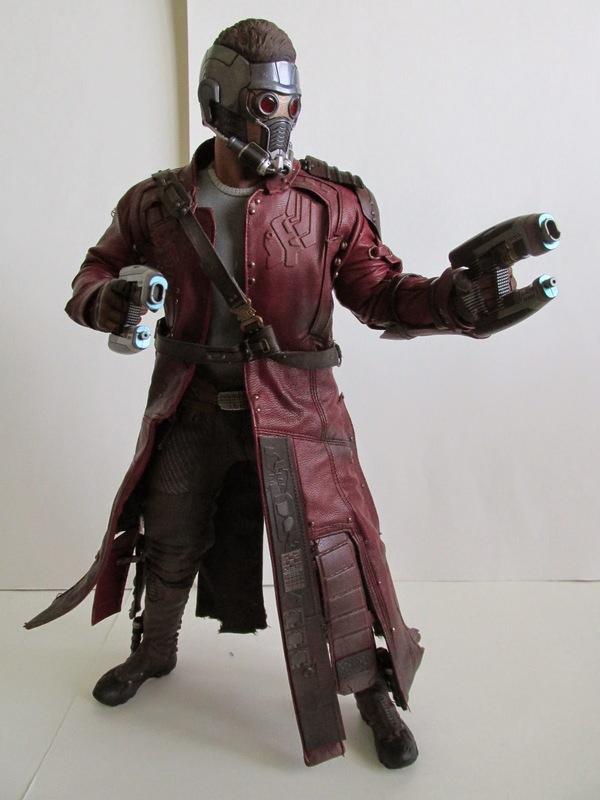 Accessories wise he comes with a pair of fists, a pair of hands to hold his guns, one right hand to hold his light bulb, his walkman, knapsack, handcuffs, and base. The exclusive version comes with the Orb. 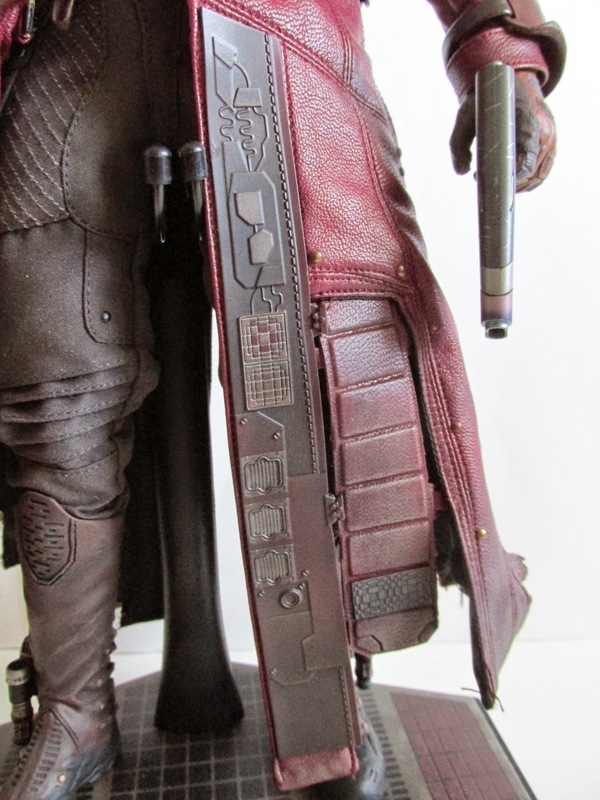 All of these accessories are highly detailed and everything you would expect Star-Lord to have. The earphones for the walkman though are not orange like in the film and are black…most likely a licensing issue with Sony. I really like this base he comes with. It’s not obnoxiously big like the dynamic bases, and it has lots of detail to make it still fell not cheap. It also has a more grip like feel to it and can help the figure not slip. The biggest issue I had with this was more of a manufacture default. Unfortunately, the mask head sculpt does not fit correctly on the ball joint to the body. The head still fits on the ball joint, but it is very loose. I can position his head anyway I want, but he won’t stay in that position and the head will just become limp. I’ll have to fix this by beefing up the ball joint on the head so it can better stay on. It’s a shame this happened, but it’s still a cool look. 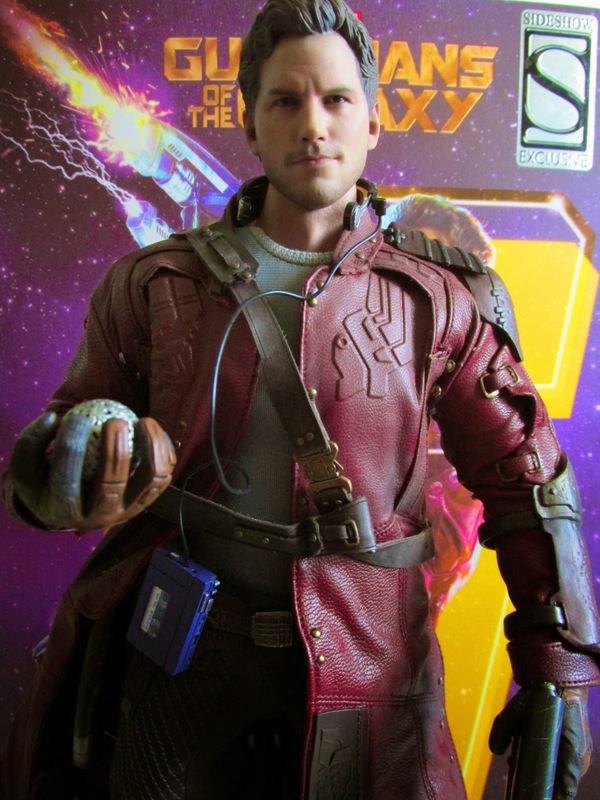 It would have been nice to have the short jacket he wears through the majority of the film, but in most promotional images of him Star-Lord feature him in his trench coat so I can see why a short jacket was not included. 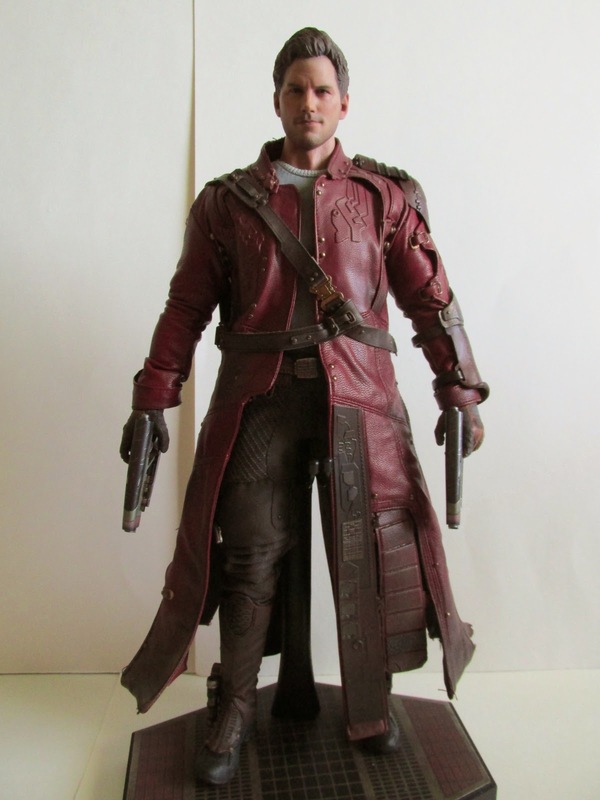 Minus the manufacture default, I’m very happy with this figure and blown away by how cool he looks in person. In my opinion, photos do not do him justice mostly because it seems like his coat really gives him a buff look. In person, the proportions look fine and again one of those figures I think that benefit from seeing it in person and not photos.